The library service will be deploying self-service solutions designed by Bibliotheca in its new mobile library vehicle. Portsmouth will be installing Bibliotheca’s smartserve™ 400 kiosk in its new mobile facility, making it easier for users to engage with the library service and make use of its facilities. With the smartserve™ 400, users are able to quickly and easily check-out and return their library items without the need for any staff to be present. 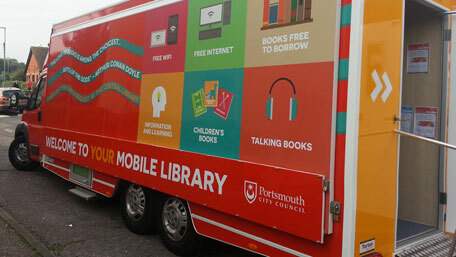 To coincide with the launch of its mobile library, Portsmouth will also be revamping some of its library premises by introducing Bibliotheca’s latest self-service kiosks in a number of its branches. Continuing its focus on international expansion, Bibliotheca has announced a new strategic partnership with the former Executive leadership team of Korean-based ECO that will bring the extensive range of Bibliotheca products and services direct to the South Korean market. Working under a unique brand partnership, Bibliotheca will license the use of its brand, physical products and software directly to allow the new company to present a complete end-to-end solution for libraries in South Korea.